Every year for the past two years. 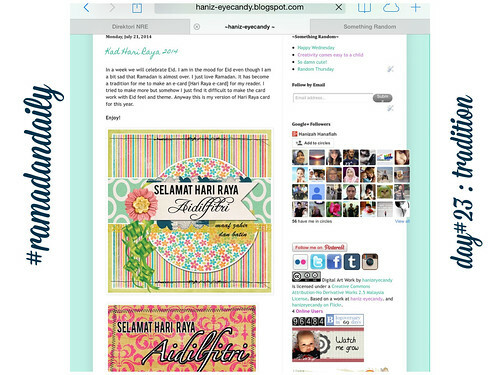 I have been making an Eid e-card and share them with my reader in this blog. This is the kind of tradition that I would have love to continue in many years to come. Tomorrow prompt: Sparkle Check out the whole lists here .